It wasn’t easy being Sega in the 1980s and ’90s. It had to compete with one of the best-known companies on the planet, Nintendo, which was responsible for bringing back the video game market from the dead. But Sega had some tricks up its sleeve. Namely, releasing a 16-bit console, the Genesis, before Nintendo could release its version, the Super Nintendo. Sega also had an amazing idea for how to hype up the sequel to its biggest game. The original “Sonic the Hedgehog” was released in 1991, and was an instant hit. 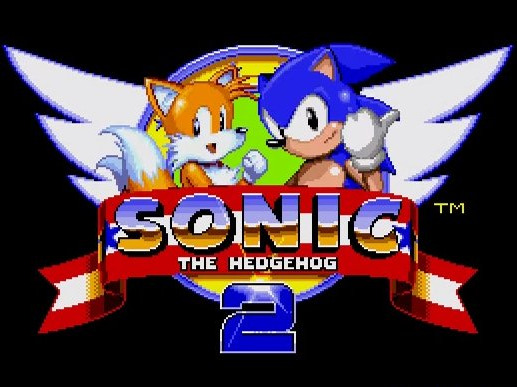 When it was time for the sequel, which introduced Sonic’s sidekick Tails to the world, Sega knew it needed to do more than just release the game. It needed to make an impact. In the book “Console Wars: Sega, Nintendo, and the Battle That Defined a Generation,” which is based on more than 200 interviews with former Sega and Nintendo employees, Blake Harris describes how Sega’s crack marketing team of Al Nilsen and Madeline Schroeder decided to celebrate the launch. “No trucks, no boats: everything will be delivered by plane exactly one day before. … we’re going to have the world’s first global launch, and in the process we’re going to break every single sales record,” said Nilsen. They kicked around a couple ideas about what day the global launch should be, and that’s when Nilsen came up with an idea that possibly changed the way games were released and marketed ever after. “No, it should be Tuesday, and we’ll call it Sonic 2sday,” he said. Sonic 2sday landed on Nov. 24, 1992. Before then, video game release dates were all over the place, and retailers just got them when they got them. But Sonic 2sday implemented a method to the madness. … the idea of a coordinated worldwide release might have seemed interesting but irrelevant. But the point of the global launch wasn’t to dazzle with concept; the point was that the concept created connection. Normally, with games released at different stores on different days, customers couldn’t help but feel like these things sort of fell out of thin air. But to know the exact date that something would be arriving, to have it circled on the calendar ahead of time, gave the gift of anticipation. It was a marketing ploy, yes, but it worked in the same self-fulfilling way as a blockbuster film did. They’re not called “blockbusters” just because of their budgets; rather, it’s because of the event-like, don’t-be-left-out way that they are marketed, which makes people rush to the theatre for the opening weekend, which then makes more people rush to the theatre when they hear how big that opening weekend was. The art of the blockbuster is that it popularizes something before it even exists, and though Sonic 2 was still months away from completion, Sonic 2sday gave [former Sega North America CEO Tom Kalinske] and company an opportunity to unleash the biggest blockbuster the video game world had ever seen. Releasing games on Tuesday is now the industry standard in the US, all thanks to a little video game punnery. But it’s not the only industry to do so. Although they don’t have Sonic 2sday to thank, most CD and DVD releases also happen on Tuesdays.